Indie Singer/Songwriter Patrick Joseph is no stranger to NoiseTrade, previously releasing two acclaimed EPs and a full length LP here on the site. 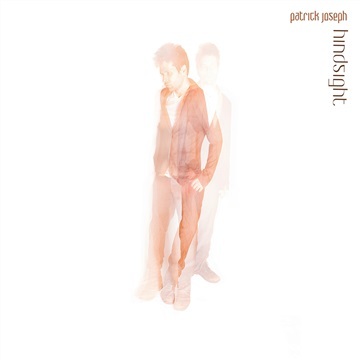 Now for a limited time, experience an EXCLUSIVE NoiseTrade release of his highly anticipated full-length album Hindsight - A free sneak peek at the record before its official release! You may have heard his music on such shows as Gossip Girl, The Office, Chicago Fire, MTV's Friendzone, or Happy Endings, to name a few. You might have caught him at festivals around North America such as SXSW in Austin, NXNE in Toronto, or CMJ in New York. Or maybe you're just discovering his music for the first time. Regardless of how you've gotten to know him, you've already discovered quickly why he's had a steady rise to success over the past few years from the Los Angeles music scene to the international stage. With several releases, a few years of touring under his belt, and an Independent Music Award in 2015 being named Producer of the Year, singer/songwriter Patrick Joseph is no stranger to the craft, and the future shows no signs of slowing down for the young songsmith who hails from Los Angeles, CA. Originally from Pittsburgh, PA, Joseph forges a mixture of pretty & gritty vocals, lush production and timeless songwriting, creating a presence that NOW Magazine describes as "A Gifted LA adult-contemporarist with a world-weary Waitsian voice and a Spoon meets Beatles soft-rock vibe." Joseph is largely independent, producing, recording, mixing, and until recently, performing all of his recordings on his own. A resident of the neighborhood of Silver Lake in Los Angeles, Joseph has established himself as one of the rising stars in the buzzing songwriting scene of Southern California. Have a listen now and discover who The Deli Magazine calls "the grittier, spirtual successor to Jeff Buckley's throne."